Here we are in the year 2017. 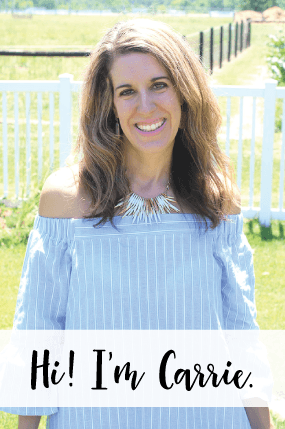 Last year I set 3 goals every month for myself and I accomplished a lot! This year, I wanted to down play it even more and just set ONE goal for myself. 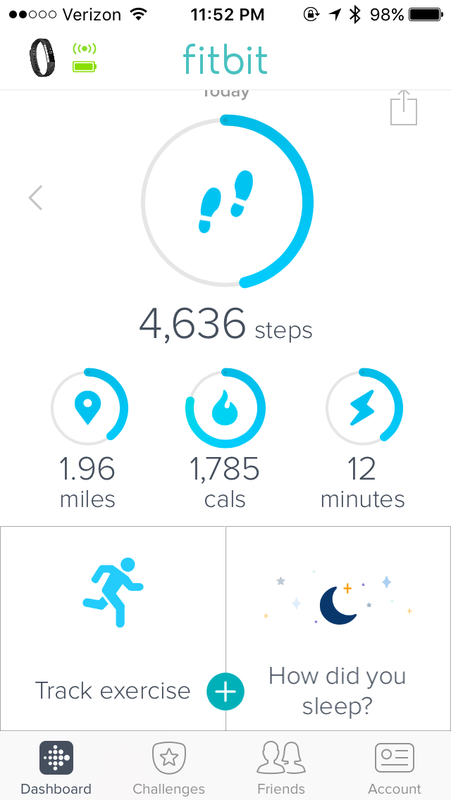 However, with just one goal each month I hope to devote more time to it. My first goal for this year is I want to start decorating the new LIATORP IKEA shelves that Brian set up around our new TV. They are bare right now, but he built it all the week before Christmas and I didn’t have time to work on it. We have a vaulted ceiling and I really like how they hung picture frames above the shelves. I would love to do that on the one corner that is taller. I really like how the shelves are decorated in the photo above. 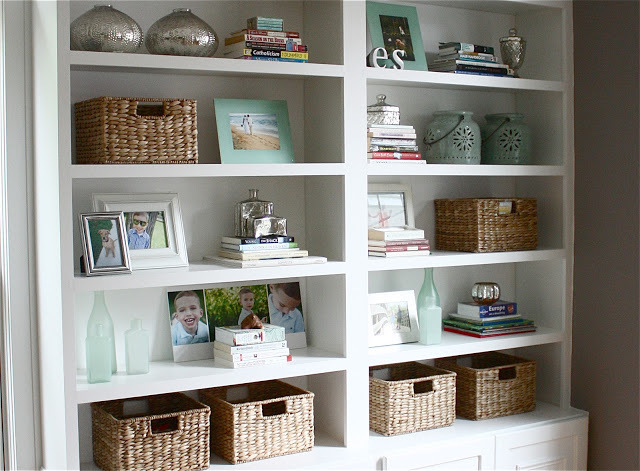 What’s also nice is that Sarah shares 4 steps on how she achieved this look on her shelves. I think I will definitely draw out the plans on how I want to decorate them, so I don’t become overwhelmed. 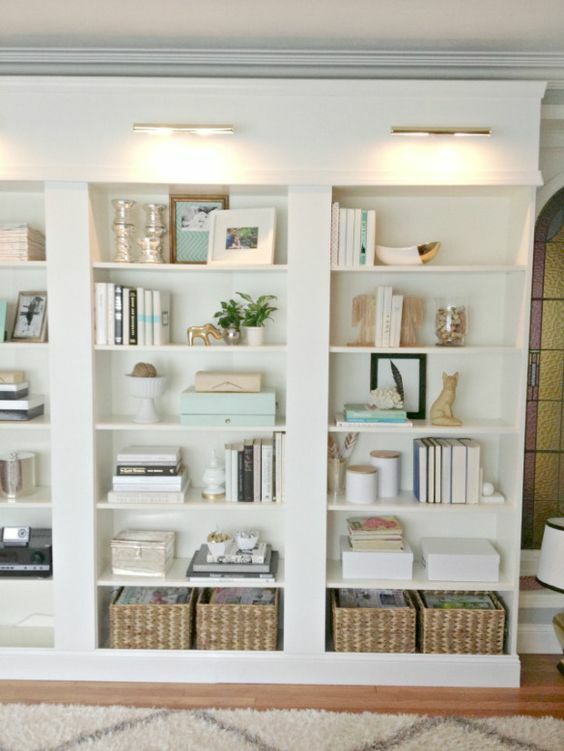 These shelves make me swoon, too! 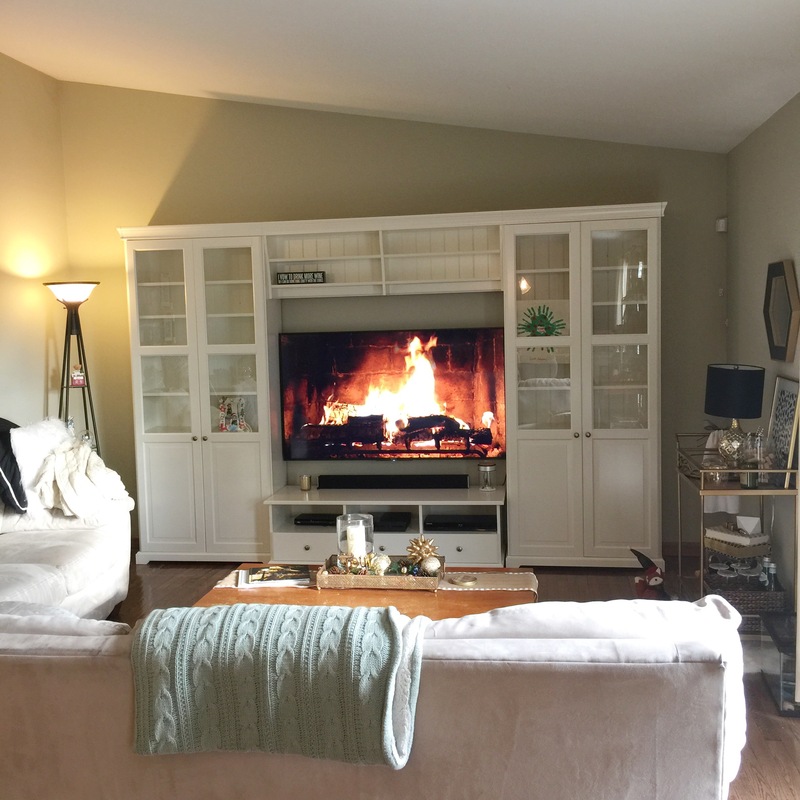 I love the gold elements added, because gold is one of the colors I use in our family room. I also like the vase with the wine corks, the little plants and books. Not only do I want to decorate the shelves, I’ve also been working on updating the entire family room. Now that I’m taking the Christmas decorations down, I’d like to get a nice lamp for our console table and a mirror behind it. 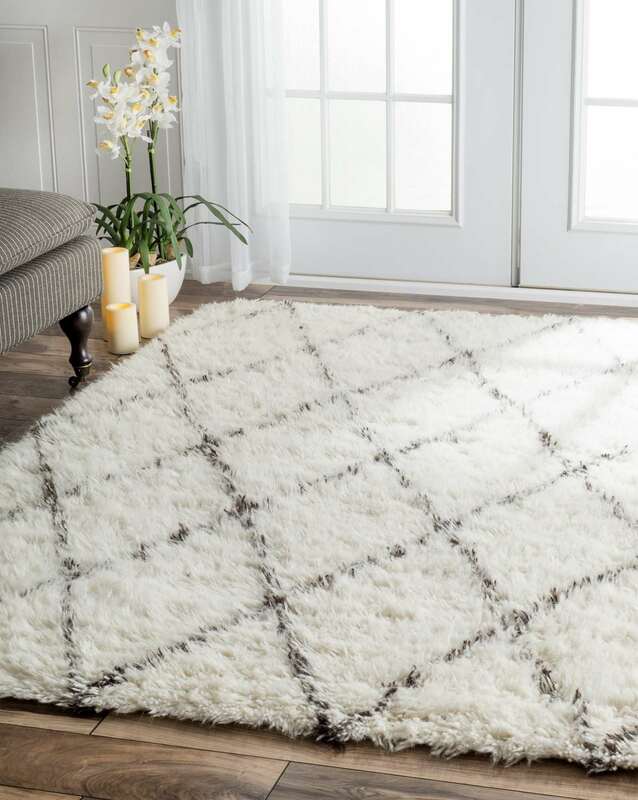 I also have a specific rug that I’d like to get for the room (the photo above shows the style of rug I am looking for in the room). I have a couple of sponsors I may contact to see if I can partner with them in exchange for some free items if I do a review. Fingers crossed on that! We are also thinking about replacing the couches and coffee table. They are around 13 years old and have survived the baby and toddler days… but, we may hold off on the couches… I’m not sure yet. Brian has been really good at cleaning our couches and they look like new after he’s done, so we could just have him clean them again. I’ve thought about painting the coffee table, but it has a lot of drawers (6!) and doors (4!) and I just don’t know if it is worth the trouble. I saw that IKEA has a coffee table that matches our shelves that we just got and it is SO cute. It is square, with a glass top and it has four tray-like sections on the top that you can see through the glass. We will probably order it! 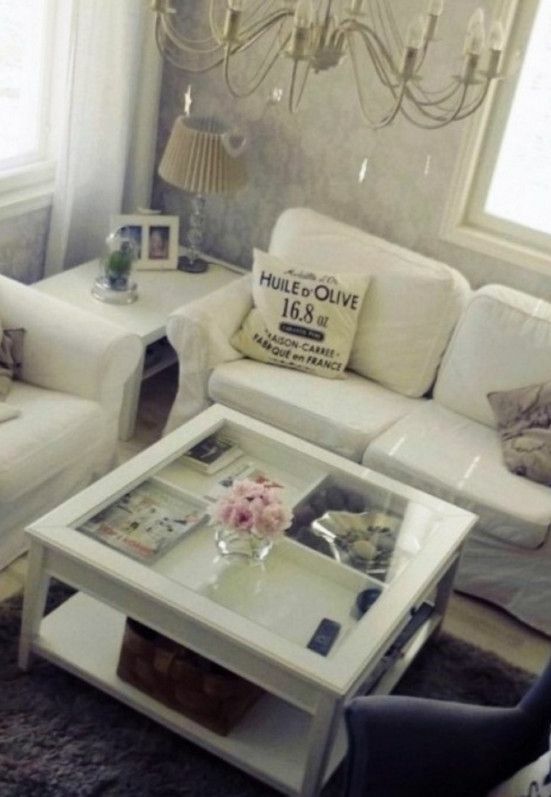 The photo above shows what the table looks like decorated. OBVIOUSLY, not all of this will get done in January… my main goal is to get it all started, so that I can continue to work on it. 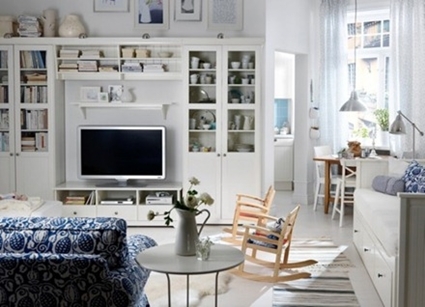 I think getting at least the IKEA shelves decorated would be a good start. 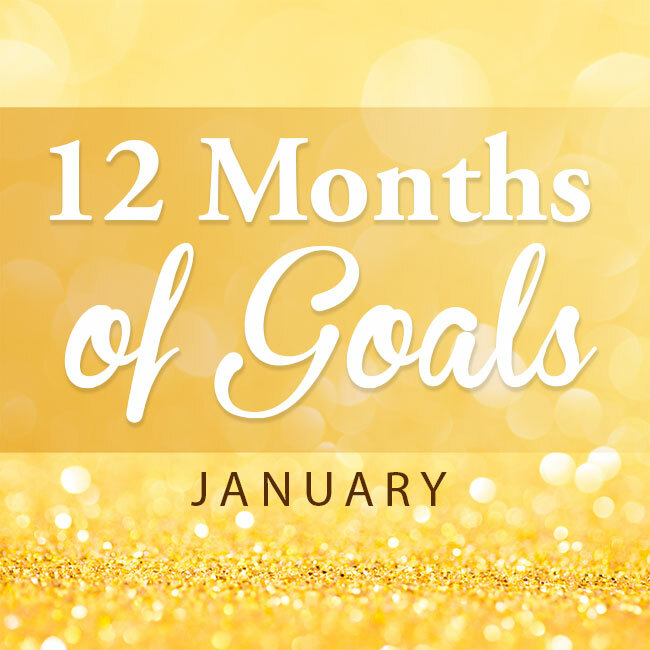 What goals do you have for January?